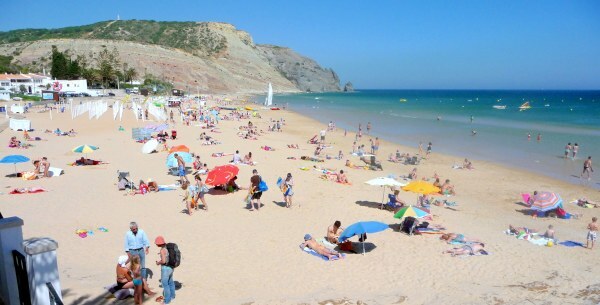 LuzPortugal tries and join in one place all the information and help you might need regarding Praia da Luz and the Algarve, however you might have a more specific question regarding the site or Praia da Luz and we are here to help, first we have a small Q&A that might be helpful, if you don’t find what you are looking for you can always do a search on the site, its on the top of every page and if you still cant find what you are looking for, just post a comment on this page, we answer all questions, also you can send a e-mail here. Q: Can i send a new location, business, tip, information, event to LuzPortugal? A: Of course you can, you can add a listing or a event or if you have a tip or information, you can send it here as well. Q: What is the difference between a Listing and a Event? A: Only the time-frame, a Listing is something permanent an Event is a show, festival, theater a one time or limited time thing. Q: Do i have to pay to add a Listing or Event? A: Yes and No, Luz Portugal is a way for home owners and business owners in the region to promote their business and websites, although i do charge a fee to add your business to the site, it is just a one time fee, and is used mostly to keep the spam away, but if its a big event or a important business in the area or if you add a link to Luz Portugal on your site then we will add it free of charge. Q: How long do Listings or Events Last? A: They will stay available on the site indefinitely, even if the Event is already over. Q: Do i need to use the forms on the Listings and Events to post? A: Yes, but you can also send it by e-mail here. Q: How accurate are the Map Markers? A: Inside Praia da Luz, very accurate, outside of the Vila da Luz and Lagos area, somewhat accurate, since in Luz they are fixed by geographic location (latitude+longitude), while outside Luz they are fixed by street address, so they might not be perfectly accurate, if you find something out of place, please send us a message. Q: I see you are sponsored, can i sponsor LuzPortugal as well? A: Yes you can! It would also include adding your site for free, the fees are depending on how long you want the sponsorship, contact us here to arrange a sponsorship. Q: Is having my business or place on LuzPortugal good for my own site? A: LuzPortugal it a reputable site, user-friendly and helpful, there are no hidden links or gimmicks involved, so having your business listed will give you a nice promotion, as well as we don’t restrict in any way the link back to your site, so you get a boost from search engines as well. Q: I see you have a facebook and twitter page, can i ask questions there as well? A: Sure you can, the good thing about twitter and facebook is that the questions are public so anyone can reply back with an answer, still as a side-note our facebook page and twitter account are not the official LuzPortugal help channels, so i can only guarantee an answer if you post it here. Didn’t find the answer you were looking for? You can post a comment bellow and we will reply as soon as possible, thank you.